Warner Bros. has formally revealed Middle-earth: Shadow of War, the sequel to Shadow of Mordor developed by Monolith Productions. The game is set to release on August 22nd for PlayStation 4, Xbox One and PC. More details and the announce trailer inside. Burbank, Calif. – February 27, 2017 – Warner Bros. Interactive Entertainment today announced Middle-earth: Shadow of War™, the sequel to the critically acclaimed Middle-earth: Shadow of Mordor™, winner of more than 50 industry awards, including 2015 Game Developers Choice Awards’ Game of the Year, Outstanding Innovation in Gaming at the 2015 D.I.C.E. Awards and the BAFTA for Game Design. 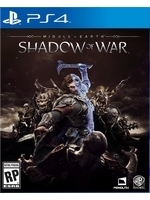 Developed by Monolith Productions, Middle-earth: Shadow of War features an original story with the return of Talion and Celebrimbor, who must go behind enemy lines to forge an army and turn all of Mordor against the Dark Lord, Sauron. Middle-earth: Shadow of War will be available for Xbox One, Project Scorpio, Windows 10 PC (Windows Store and Steam), PlayStation®4 and PlayStation®4 Pro beginning August 22, 2017. Middle-earth: Shadow of War will be available as an Xbox Play Anywhere title. 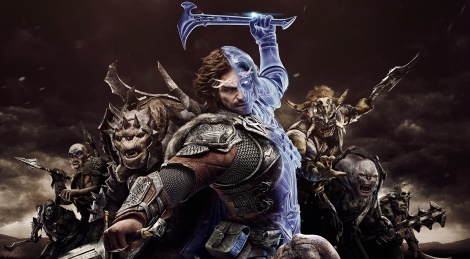 As an Xbox Play Anywhere title, players can purchase a digital version of Middle-earth: Shadow of War once and play it on both Xbox One and Windows 10 PC. Gamers can pick up where they left off on another Xbox One or Windows 10 PC, bringing all the saves, game add-ons and achievements with them at no additional cost. For more information or to join the Middle-earth: Shadow of War conversation, visit www.ShadowofWar.com or find us on YouTube (ShadowofWarGame), Facebook (ShadowofWarGame), Twitter (@ShadowofWarGame), Instagram (ShadowofWarGame), Twitch (MonolithLive) and our Lithium Community (ShadowOfWar). The first one was simply amazing. it was all I hoped for. the combat was everything the Arkham series started but failed to polish and build upon. I'm eagerly looking forward to this one. For me Shadow of Mordor seemed solid but still lacking something, lots of ground to improve on. It was short, the fights were too easy (as any other Arkham-style combat brawlers), and it had only one real boss fight, the other was a stealth segment and the final boss was a quick time event. I really liked the Nemesis system and I hope they'll improve and expand it. All in all if Monolith repeats the formula and doesn't do anything stupid it should be good. After all they're a company with a good game record, they've made F.E.A.R., Condemned, Tron 2.0, Aliens versus Predator 2 and No One Lives Forever, all great games. Although adding a token black guy for political correctness checklist is... yeah. Especially considering the source material. I believe it's the first black in LotR universe. "waaaaah waaaaah a black guy waaaaah" Seriously this generation of closet racist gamers are friggin' annoying, spamming the comments sections everywhere with all their immature xenophobic whinings and paranoia about sjw agendas. I can't find a single gaming website now that's devoid of their constant cry me a river baby cries. Oh, come on. It's not paranoia, diversity is something companies and people strive to nowadays. This year's Oscars for example, after 2 years of #oscarssowhite hashtag shaming on twitter Jimmy Kimmel gleefully says "I want to say thank you to president Trump, I mean, remember last year when it seemed like the Oscars were racist?" implying that Oscars not being diverse enough in the past was a racism prejudice problem. And I'm not going digging for these examples, either, I'm just showing that it's not some /pol/ lunatics seeing conspiracies in everything, it's an actual directives and guidelines people follow. And it's okay, writers and artists should be able to put whatever they want into their creations. I'm not saying anything about Finn and Rei in new Star Wars movies because they fit and are enjoyable characters, but when diversity issue is handled so hamfisted as in Battlefield 1 or this game with no regards to source material, then it's bad. I too was a bit baffled by the black guy. I'm pretty sure there aren't any black people in Gondor. Unless, the dude is a descendant from the Men down south. But anyway, I don't really care much. This was just a CG announcement trailer anyway. I never liked the character head design, Aragorn wannabe tbh hopefully we can swap or add (beard). I also hope its not repetitive since first one became that and freaking boring, though fantastic combat. When I heard the whole black guy thing in the comments I was a little concerned... until I watched the video. Clearly they are taking more liberties with the lore than just race of one guy. A guy bound to the spirit of an elf forging a ring of power at mount doom? Clearly not 100% true to Tolkien's fiction in any event. That said I seem to have noticed a trend where it seems as though they are trying fill people of various genders/races etc in as many places as possible. While I think it is important that there be more diversity in general I don't there HAS to be. For instance, it is important that there be more black people, asian people, women etc I don't think it should become a numbers thing. For instance, I don't think there HAS to be female protagonist of GTA by force. If the creators want to and had an interesting concept? Sure. Or I don't think that Lara Croft has to become a Black woman/man or any other thing just for the sake of diversity. When I was younger I used to long deeply for more black characters in films and also felt that black people I saw in films were different from my own local culture (I am a Nigerian). At a point, it got so bad that it even became resentment against white people for "suppressing, oppressing and stealing our culture." I am glad I got away from that mindset. That is not to say that I am not happy and glad to see black characters well rendered in various media or hear of a high quality film made by a black person. I very much am. All I am saying is that passion and creativity should be guiding force of any creative pursuit not playing to demographics. This should replace the last sentence above. I find it more accurate and honest. All I am saying is you don't to make your game, comic, film about fitting every ethnicity and gender in any corner possible. I personally like things to be a bit more flexible. I spit my tea, when I saw Lifespan section. That's the dorkiest dorkiness I've ever dorkened. Racism - prejudice, discrimination, or antagonism directed against someone of a different race based on the belief that one's own race is superior. Not sure how not wanting Y in your X is racism. Lore notwithstanding. I honestly believe that American white guilt and craving for media buzz are ruining artistic integrity hard. It's also the absolute worst aspect of Americanisation and Globalization. People from Finland start believing that their ancestors owned slaves and they are somehow in debt to the Middle East or Africa. It's probably funnier than anything else, though. For now. American blacks have ruined it for all of us. Almost forgot. I'd love to play a good action game, set in Sub-Saharan Africa. But I doubt that shoving "african-Americans" in every game will make me less racist than I already am. White colored people not wanting dark skinned people to be represented in a setting that also has fans amongst said dark skinned people ( Yeah there are many black fans of Middle-Earth ) is racism to me. Also, you "that's a liberal agenda" folks always whine about how it's a diversity master-plan being pushed by white devs and ignoring the fact that there ARE many black video game developpers that work in this industry and who would like to have people of colors fairly represented in this medium. I doubt that shoving "african-Americans" in every game will make me less racist than I already am. Oh, you seem plenty racist, i don't doubt that for a second. Less of a plan, and more of a cattle herd doing what's cool these days. With marketing teams being their shepherds.